Few places pull at my heart strings. 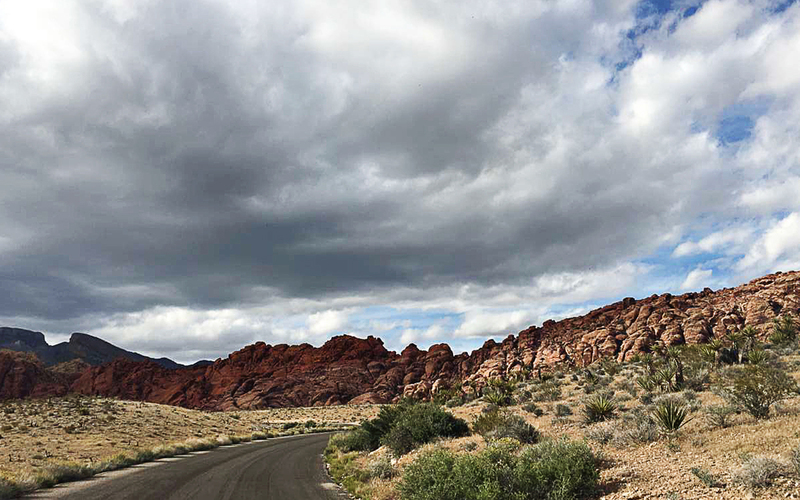 Red Rock Canyon was just miles past my home in Las Vegas. In High School this was a favorite stomping ground for many reasons. Hikes, late night hangouts with friends.. Those drives to the middle of no where in the desert have no doubt put a stamp engraved in my soul forever. Road trips continue to be my passion and no other feeling of being free is quite as rewarding as the open road. 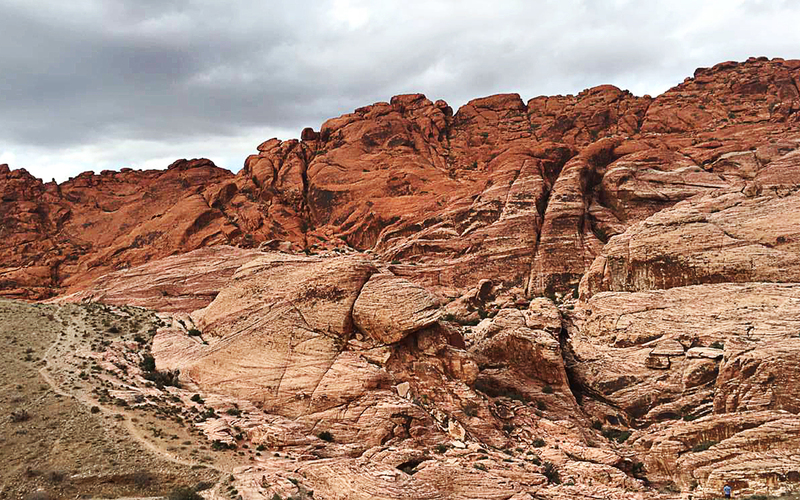 At the time of living in Summerlin I didn’t realize how amazing Red Rock Canyon was. You take for granted locations right in your back yard. It’s only when you move away do you realize the magnitude of the canyons. On a mid week day it is quite empty and that much more appealing.. My fellow photographer + friend, Rachel Rumph and I hustled out here after a day of laying at our one and only day at the pool. My stay had no doubt been the coldest I have experienced visiting Las Vegas. As you can see the blue sky was mixed with dark grey clouds. Only adding that much more nostalgia. Thank You Rachel for the memories! Artists eye drawn into another. Captured this image for photographer, Tony Hernandez. 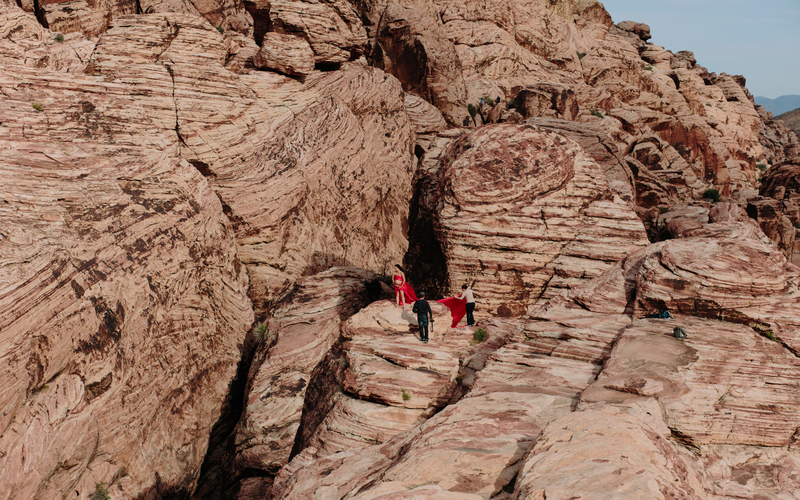 Love the red dress pop in the canyon…The woman featured here is 7 mos pregnant….eeek!